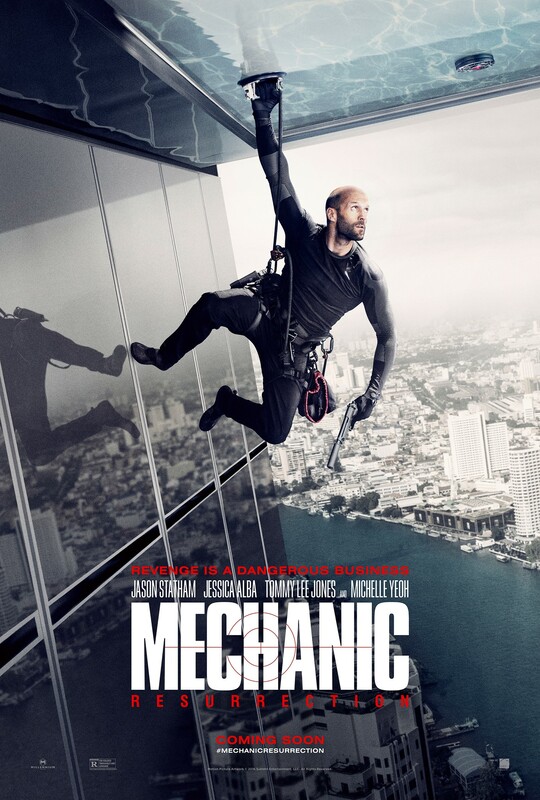 Arthur Bishop (Jason Statham) returns as the Mechanic in the sequel to the 2011 action thriller. The film is directed Dennis Gansel and also co-stars Jesica Alba, Michelle Yeoh and Tommy Lee Jones. “Mechanic: Resurrection” will debut in theaters on August 26, 2016. The visual effects are produced by Worldwide FX.